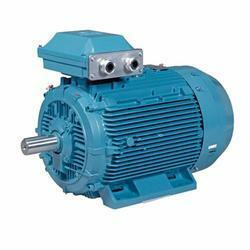 We are a leading Service Provider of abb electric motors services from Pune, India. ABB offers a full range of induction and synchronous motors and generators for marine applications. With our in-depth understanding of your application needs we provide you with solutions that run reliably day after day. Our motors and generators meet the highest safety and environmental requirements, and our global network helps keep your vessel’s equipment running at all times everywhere in the world. Looking for ABB Electric Motor Services ?